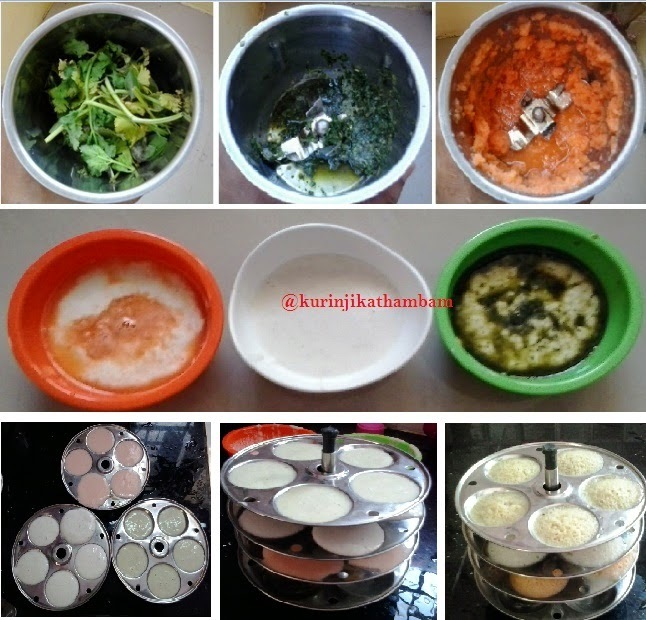 I created this tri color idli for Republic day celebration. 2. Grind them into a fine paste with little water. 3. Filter the extract and keep it aside. 4. Peel the skin of the carrot and chop it into small pieces. 5. Grind the carrot with little water and extract the juice, keep it aside. 6. Divide the batter into 3 parts and take it into 3 bowls. 7. Now mix the coriander juice and carrot juice with batter separately. 8. Then make 3 different color small idlies with these 3 color batter. 9. Place the idlies on the plate and then arrange them like a flag. 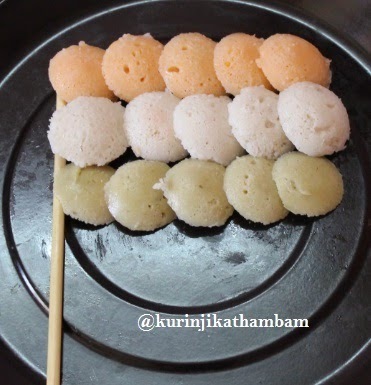 Tri Color Flag Idli is ready. Colorful Idis, nice innovative recipe! Happy Pongal - இனிய பொங்கல் நல் வாழ்த்துக்கள் !! !